Normally when we discuss the salaries of Hollywood stars, we're talking absurd amounts of money - like what Robert Downey Jr. is reportedly paid for playing Iron Man. So when it comes to Jonah Hill's payday for his Oscar-nominated role in "The Wolf of Wall Street," the number is so low it seems the 30-year-old actor basically did the movie for free (by Hollywood's standards, at least). On Howard Stern's radio show Tuesday, Hill revealed that he did "The Wolf of Wall Street" for somewhere around $60,000 because he wanted the part so badly. "They gave me the lowest amount of money possible, that was their offer," the two-time Oscar nominee told Stern. "It was the SAG minimum, something like $60,000 before commissions and taxes, for an almost seven-month shoot." But while other actors might've tried to negotiate a higher salary, Hill simply "said, I will sign the paper tonight, fax me the papers tonight, I want to sign them." 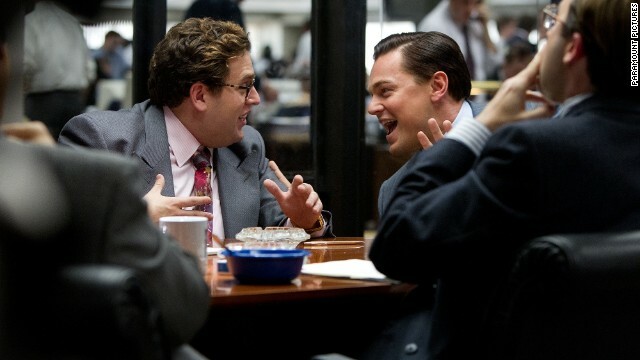 That's because for Hill, "Wolf of Wall Street" director Martin Scorsese is the end-all and be-all of Hollywood legends, and as soon as he heard about Scorsese was making an adaptation of Jordan Belfort's memoir, he worked all angles to be a part of it. "I told (Leonardo) DiCaprio, 'No one in the world can play this part but me. If you find another actor to play this part, I'm going to kill them, and they're not going to be able to play the part,'" Hill relayed to Stern, not entirely joking. So when he found out he landed the role, he was more than happy to settle for a meager payday if it meant working with the greats. "I would sell my house and give (Scorsese) all my money to work for him," Hill said. "This isn't what you make money for, you do '22 Jump Street,' you do other things, to pay your rent. But I would do anything in the world - I would do it again in a second." Gee, big deal. That is all I make in a year working 6 days a week, 12 hours a day. How long did it take him to make this movie? Four weeks? For a bad actor, this move will now help him into bigger roles because he has worked with Leo and Marty on a film and did he because he "cares." Poor Jonah, Boo Hoo. Maybe when people are paying 8 bucks to watch YOU, in YOUR movies, you will make that kind of money. The author sure made a big point of it over and over again. I think we all know Jonah would've probably done it for a couple of burgers, fries, and a Coke. This is where you see the difference between actors who have been sucked in by the money and an actor that wanted the role for bigger reasons than money. Yeah, RD jr made around $50million for Iron Man, big diff in their pay checks.